Following the opening of The Abu Dhabi EDITION hotel late last month, the waterfront resort is hosting a number of fantastic festive offers for guests to indulge in this Christmas. 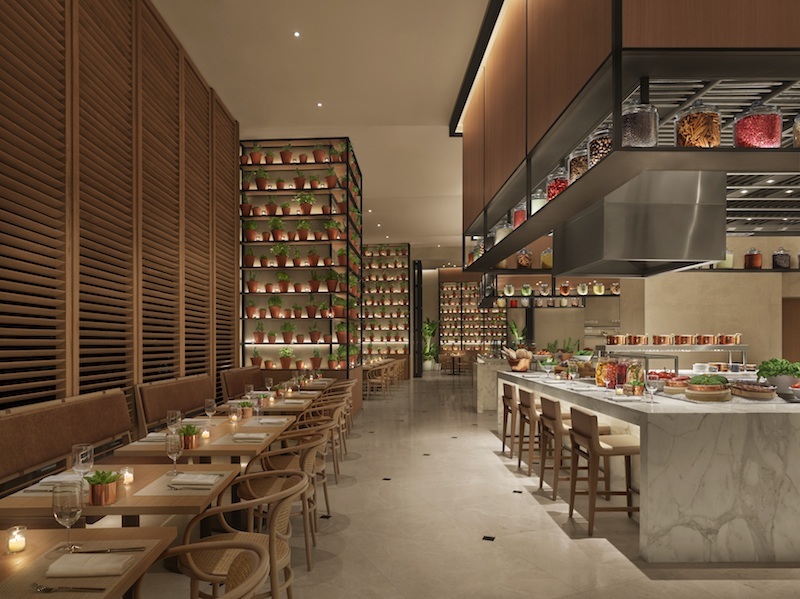 Boasting three signature restaurants created by world renowned chef, Tom Aikens – the youngest chef ever to be awarded two Michelin stars, foodies will certainly not be short of choice in finding a fine dining concept that suits their taste. For the festive season, Chef Tom has created seasonal bespoke menus and exclusive dining experiences that will ensure guests are treated to a memorable Christmas outing with a mix of authentic design and personalised service. To kick things off on Christmas Eve, welcome the season’s big day with a taste of tradition to spark the festivities and seasonal treats. Delight in a wide selection of detectable meats carved tableside, before you end the feast with a taste of reinvented old-school classic British desserts. Prices start at AED 290 inclusive of soft beverages, and the evening will run from 6pm to midnight on Monday 24th December at the Oak Room. On the big day itself, enjoy a selection of limitless pass-around seasonal beverages and signature dishes in a relaxed street food style offering during this organic festive treat, hosted at Market at EDITION. Prices start at AED 199 inclusive of soft beverages, and will run from 12pm to 5pm on Tuesday 25th December. Alternatively, head to the Oak Room on Christmas Day for its festive lunch offering, and enjoy a selection of delicious, British roasted classics in a traditional setting. Prices start at AED 290 inclusive of soft beverages, and will run from 12pm to 4pm on Tuesday 25th December. Details: To make a booking, please call +971 2 208 0000 or visit the website for more information.